Charles Lee Maxwell, 84, of Tunnelton, WV, passed away with his family by his side on Thursday, June 28, 2018, at his home. Charles was born September 14, 1933, in Newburg, a son of the late William Ira and Minnie Cyrina (Pyles) Maxwell. He served in the United States Navy being stationed in Cuba. Charles retired in 1969 from Bethlehem Steel where he worked in the ship yards for 30 years. He enjoyed all forms of racing, western movies, hunting, tinkering, garden, and helping others. He especially loved days on the Chesapeake Bay crabbing with his sons, grandchildren, and nephew John. He is survived by a son and spouse, Anthony and Candy Maxwell of Baltimore, MD; a daughter, Donna Lapore of Baltimore, MD; two grandchildren, Julianna Maxwell and Ryan Lapore of Baltimore, MD; and several nieces and nephews in Maryland and West Virginia. In addition to his parents, he was preceded in death by a son, Charles Maxwell, Jr.; four brothers, Albert, James, Donald and Kenneth Maxwell; seven sisters, Alberta Maxwell, Mildred Shahan, Genevieve Barlow, Goldie Stahl, Nellie Evans, Ethel Maxwell and Beatrice Maxwell; and with many family members both in Maryland and West Virginia. Friends will be received at the Rotruck-Lobb Kingwood Chapel, 295 South Price on Saturday, June 30, 2018 from 6-8pm, on Sunday, July 1, 2018, from 2-8pm, on Monday, July 2, 2018 from 10:00 a.m. until the time of the funeral service in the funeral home chapel at 11:00 a.m. with Rev. David Spence officiating. Interment will follow at the Shay Cemetery in Newburg where Military graveside honors will be accorded by the Preston County Honor Guard and WVANG Military Funeral Honors, Camp Dawson. 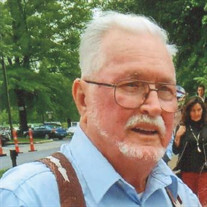 Memorial donation may be made in Charles memory to, WV Caring, 519 Delta Road 25, Arthurdale, WV 26410.